Seeing the rupiah pass beyond the psychological boundary of IDR 14,600 per US dollar level - its lowest level since October 2015 - puts additional pressure on the Indonesian currency as it encourages more people to seek safe haven assets, such as the US dollar or Japanese yen. 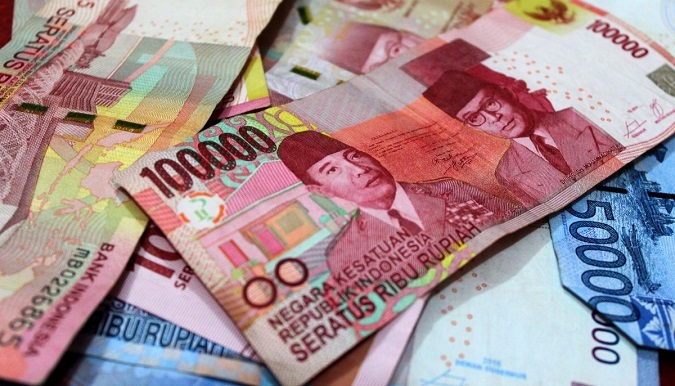 Nanang Hendarsah, Head of Monetary Management at Indonesia's central bank (Bank Indonesia), confirmed the central bank is intervening to defend the rupiah by selling foreign exchange and purchasing rupiah-denominated bonds. It is now also widely assumed that Bank Indonesia will, again, raise its benchmark interest rate at the monthly policy meeting that will be concluded on Wednesday (15/08). Over the past three months the Indonesian central bank raised its key rate gradually from 4.25 percent to 5.25 percent in an attempt to defend the rupiah. The collapse of the Turkish lira is the primary reason why Asian markets are under pressure at the start of the week. Late last week, the lira started plunging dramatically and this continued into the opening of Asian markets on Monday (13/08), with the lira falling by around 10 percent. So far this year the Turkish lira lost 45 percent of its value against the US dollar amid worries over President Tayyip Erdogan's influence over the country (including the economy), his repeated calls for lower interest rates and worsening ties with the USA. It is also feared that the collapse of the lira will affect European banks as many major European lenders are exposed to Turkish debt. Turkish Finance Minister Berat Albayrak said the country will start implementing an economic action plan on Monday (13/08) to ease investor concerns. Analysts, however, say this plan comes too late. Meanwhile, internal issues are also impacting negatively on the Indonesian rupiah. Firstly, the country's current account deficit widened to USD $8 billion (equivalent to 3.0 percent of gross domestic product) in the second quarter of 2018, the highest deficit in nearly four years. Secondly, political uncertainties ahead of Indonesia's 2019 presidential election persist. Last Friday (10/08) both presidential candidates announced their vice-presidential candidates. Incumbent President Joko Widodo selected Islamic scholar Ma'ruf Amin, a decision that on the one hand should lead to easing religious tensions in the country, but on the other hand encourages the process of Islamization into the (secular) political domain.